THE shotgun blast believed to have killed a young scientist at a Queensland crayfish farm was heard by a neighbour 1km away - but not by a nearby co-worker who found his body, according to witness reports. 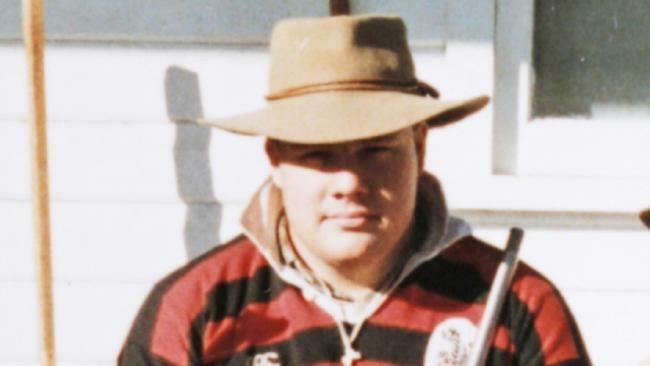 The timing and frequency of shots heard the day Jeffrey Brooks died at the Beenleigh Crayfish Farm, between Brisbane and the Gold Coast, remains one of the most intriguing aspects of the bizarre case. The Courier-Mail is telling Jeffrey's story in the true crime podcast Dead Wrong. Police determined Jeffrey, 24, of northern NSW, died in a terrible accident on March 13, 1996. They concluded he had been pulling an old, loaded shotgun owned by the farm manager out of a vehicle - barrel first - to shoot a bird or snake when the hammer caught on the seat causing it to discharge. But Jeffrey's parents, the farm's owners, friends, a police veteran and independent crime experts believe he was murdered and want new light shone on the 22-year-old mystery. According to statements handed to the coroner, Jeffrey had told friends and family that he had been threatened by his colleagues and he was frightened he might be killed. He had even borrowed a gun from his brother, a hunter, so he could protect himself. Jeffrey spoke of having confronted his farm colleagues about what he believed was a side-operation selling crayfish for cash without the owner's knowledge. In official witness statements tendered as evidence at the inquest into Jeffrey's death, the farm manager said he had heard one shot "around lunchtime''. His wife had heard one about 1.30pm and the farm worker had also heard it, as well as another 30 minutes prior. None was the fatal blast as phone records - not obtained until eight months later - show Jeffrey was very much alive when he made a call at 1.50pm. The farm worker, who had been within a few hundred metres of Jeffrey, told police he didn't hear any shots after 1.30pm, but a neighbour, Noel Rubeck, heard the likely fatal shot - at 3.10pm - from his home about 1km away. The worker told the inquest he may not have heard the 3.10pm shot because he was driving a van around the ponds with a noisy motorised crayfish feeder on board. 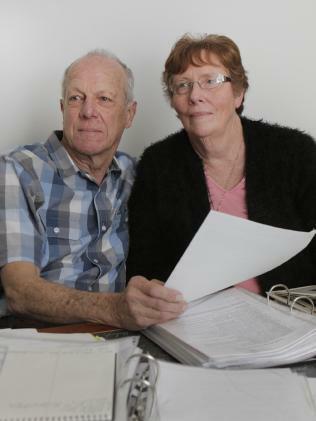 Jeffrey's parents Lawrie and Wendy Brooks have been critical of the police investigation and among their complaints is the failure of investigators to interview neighbours, including Mr Rubeck, in the aftermath of the tragedy. Mr Rubeck's official statement containing the vital evidence that all movements could be measured against, strangely was not taken by police until some 18 months later in September, 1997. This was after the police oversight was highlighted by a private investigator and raised during the coronial inquest. Jeffrey Brooks was killed in 1996. Jeffrey Brooks’ parents Laurie and Wendy. The police running sheet from the day of Jeffrey's death - obtained by The Courier-Mail - also wrongly recorded Mr Rubeck as having heard the shot at "1310 hrs" rather than 3.10pm. Police became aware of the neighbour hearing the shot after another resident rang them that night to let them know. "(Neighbour) called after (police) left card at house," the running sheet states. "(Neighbour) stated that friends of hers, Mr and Mrs Rubeck … heard a gunshot at 1310 hrs today." Mr Rubeck, a plumber and keen hunter who had used firearms for 30 years, had a good memory of the day Jeffrey died and the timing of the shot he heard. He said he arrived home from work midafternoon and a friend, Mark Dryer, had come over to see the family's new car. The only hitch was that Mr Rubeck's wife, Kathryn, had taken it to pick up the children from school. Then he heard the boom of a firearm coming from the direction of the crayfish farm. He commented that he thought the noise was a shotgun. At the inquest, the lead investigator, then Detective Sergeant Mike Condon, added another option to what may have been heard on the day. He told the court there was a house being built in the area and there was some indication they were using a nail gun that would have caused some problems, with witnesses saying they heard shots. There is no mention of a nail gun in any of the witness statements in the brief of evidence obtained from the State Coroner's office. 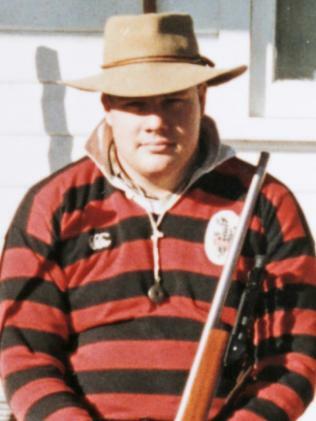 When contacted by The Courier-Mail, Mr Rubeck said he remembered the incident clearly and denied that he would confuse a nail gun with a shotgun.